Kazuma Satou is a shut in who loves game, his life ended suddenly... Appearing before him is a beautiful girl claiming to be a goddess. Kazuma who was transported to a different world worked hard to earn a living! Kazuma wanted to live a stable life, but was burdened with problems caused by the goddess he brought along to the different world with him. He was even targeted by the demon king's army!? 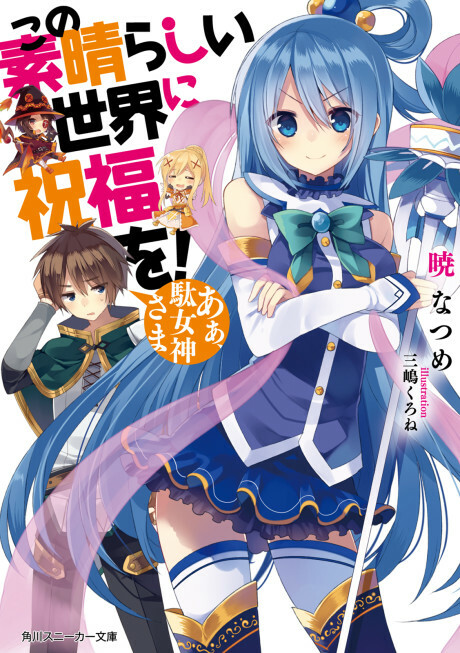 All in all, KonoSuba is a great light novel series with a fun group of friends on their adventures in this other world.